The U.S. Postal Service realized just 5 percent of the savings it projected over a two-year period from a controversial decision to slow mail delivery to enable facility closures, according to a new audit. Postal management told its regulatory body it would save $1.6 billion in fiscal years 2016 and 2017 by eliminating overnight delivery of regular, first-class mail and pushing back some of its two-day delivery to a three-day window, but the mailing agency’s inspector general found it did not even come close to reaching that estimate. USPS instead saw about $90 million in savings, about one-twentieth of its estimate. USPS implemented the service changes as part of its network rationalization plan, which it unveiled in 2011. A precipitous decline in mail volume required the agency to shrink its footprint, postal management said. In the first phase of its changes, the Postal Service shuttered 141 processing facilities. As part of the second phase, which began in 2015, the agency said it would slow its delivery standards and consolidate another 82 plants. As USPS pushed for more comprehensive legislative reform, it never fully implemented the second phase of closures, but still fully shuttered 17 facilities and partially consolidated 21 more. The Postal Service projected the bulk of its savings—about $1.3 billion—would come from productivity gains in mail processing. USPS later told the IG it only saved $200 million, but the auditors could not identify any savings at all. In fact, the IG said the Postal Service’s mail processing costs have actually increased by $153 million since the service changes went into place. Mail processing productivity, as measured by pieces of mail processed per hour, dropped by 14 percent since delivery was slowed. 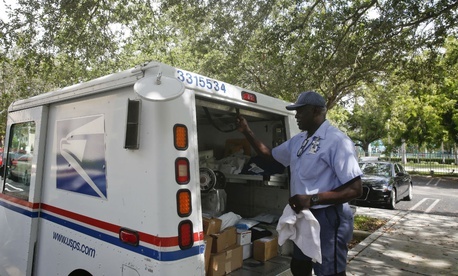 USPS saved just $15 million from moving employees’ shifts from nighttime hours to the daytime, as it could issue less premium pay, but that was $50 million less than the agency’s projection. Additionally, overtime costs grew by $68.4 million, a 9 percent increase. Postal management separately estimated it would save $268 million on transportation costs after implementing its network and delivery changes, but the IG found those expenses actually grew by more than $1 billion. USPS expected to avoid $430 million in future costs, but auditors found the agency realized slightly more than half of that total. The Postal Service said its data was skewed by mail volume continuing to decline as it was implementing the changes, and the IG encouraged the agency to better track the data. Robert Cintron, USPS vice president for network operations, insisted, however, that the IG’s findings were off base because the “changing business environment” made isolating the savings from service changes impossible. He added that it would take the Postal Service years to realize the savings it projected. Still, the IG bluntly stated postal managers should not count on ever seeing the cost rollbacks they had expected. The Postal Service’s network rationalization plan was met with significant pushback, including bipartisan efforts to block further consolidations. The recently sworn-in chairman of the USPS board of governors has promised to take a fresh look at delivery frequency and standards. A Senate bill with bipartisan backing would call for a third-party evaluation of further processing plant consolidations.